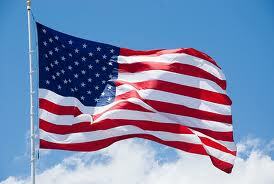 1959 – America’s 49-star flag, honoring Alaskan statehood, was officially unfurled. 1804 – Nathaniel Hawthorne, American author. 1826 – Stephen Foster, American songwriter. 1872 – Calvin Coolidge, 30th President of the United States of America (1923-1929). 1883 – Rube Goldberg, American cartoonist. 1900 – Louis Armstrong (Satchmo), American jazz trumpeter and singer. 1911 – Mitch Miller, American musician, record company executive, producer, arranger. 1918 – Ann Landers (Esther Pauline Friedman) and Abigail Van Buren (Pauline Esther Friedman), American advice columnists. 1927 – Neil Simon, American award-winning playwright. 1930 – George Steinbrenner, American businessman and baseball executive. 1826 – John Adams, 2nd President of the United States of America. 1826 – Thomas Jefferson, 3rd President of the United States of America .